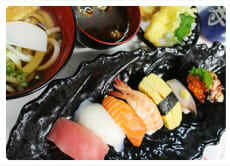 In "Umemori" we introduce Japanese food culture through the work of "sushi". You can experience easy full-fledged sushi-making together with the enthusiastic instructor. We promise to welcome customers with utmost hospitality!